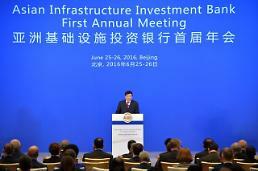 The second annual meeting of the China-initiated Asia Infrastructure Investment Bank (AIIB) closed on South Korea's southern resort island of Jeju. The multinational lender, set up in 2016 to fund infrastructure projects in Asia, adopted resolutions accepting three new members -- Tonga, Argentina and Madagascar -- bringing its total approved membership to 80. The bank said the three prospective members will officially join AIIB once they complete the required domestic processes and deposit the first installment of capital with the bank. The three-day meeting at the International Convention Center was attended by about 2,000 including delegations from both 57 founding members and 20 new members, international organizations and academia, as well as businessmen, financiers and journalists. "The AIIB annual meeting here is meaningful in that it is the first annual meeting outside China," a finance ministry official said. 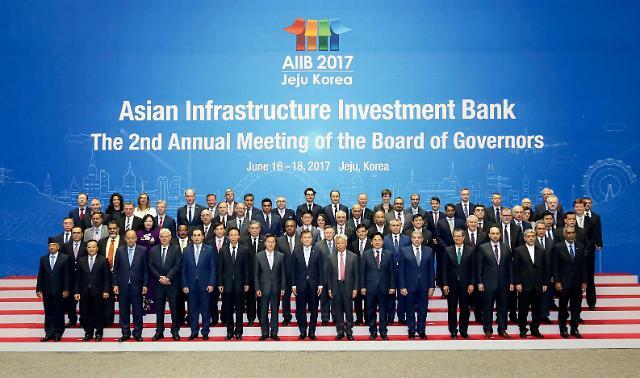 The attendees included over 20 finance ministers of the 77 approved AIIB members, such as Australia, China, Georgia, India, Indonesia and Laos, according to South Korea's finance ministry. AIIB, initiated by China, is a multinational institution aiming to spur Asia's economic growth through infrastructure investment. It has so far approved 16 projects worth $2.5 billion. The AIIB meeting here also marked the first international meeting attended by new South Korean President Moon Jae-in since his inauguration May 10. 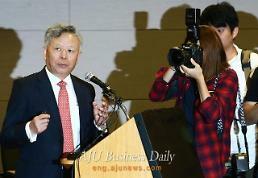 South Korea joined the AIIB as one of its founding members with a 4.06 percent stake. China owns 32.3 percent in the AIIB, followed by India with 9.08 percent, Russia with 7.09 percent and Germany with 4.87 percent. For Seoul, the international meeting also came as Beijing is flexing its economic muscle against Seoul in protest of the deployment of an advanced U.S. missile defense system in South Korea.